1. 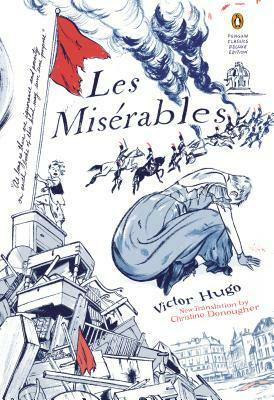 Les Miserables by Victor Hugo, translated by Christine Donougher for review from Penguin. The subject of the world’s longest-running musical and the recent Academy Award–nominated and BAFTA-winning film starring Hugh Jackman and Anne Hathaway, Les Misérables is a genuine literary treasure. Victor Hugo’s tale of injustice, heroism, and love follows the fortunes of Jean Valjean, an escaped convict determined to put his criminal past behind him, and has been a perennial favorite since it first appeared nearly 150 years ago. This exciting new translation with Jillian Tamaki’s brilliant cover art will be a gift both to readers who have already fallen for its timeless story and to new readers discovering it for the first time. 2. 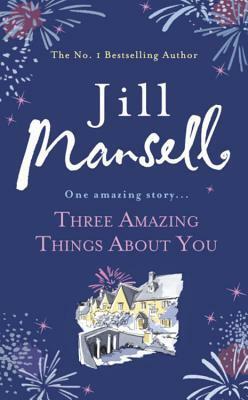 Three Amazing Things About You by Jill Mansell, purchased on Book Depository after Amazon cancelled my order randomly. Flo has a dilemma. She really likes Zander. But his scary sister won’t be even faintly amused if she thinks Zander and Flo are becoming friends – let alone anything more. Tasha has a problem. Her new boyfriend is the adventurous type. And she’s afraid one of his adventures will go badly wrong. THREE AMAZING THINGS ABOUT YOU begins as Hallie goes on a journey. A donor has been found and she’s about to be given new lungs. But whose? 3. Girl of My Dreams by Peter Davis, which came unexpectedly from Tandem Literary. Screenwriter: The protagonist, Owen Jant, is a young screenwriter who comes of age in the 1930s at the intersection of Hollywood, the Depression, and the heyday of the Communist Party. At every turn, he is finding, and losing, his way. Hollywood star: The glamorous Palmyra Millevoix—complex, gifted, mysterious—is a star more agitated than pleased by her fame. She could have been Grushenka, siren of the Karamazov saga, if she had not been a Hollywood star. Studio mogul: Founder of Jubilee Pictures, Mossy Zangwill is not the last tycoon but the last of the old-style chieftains and first of the corporate moderns, clawing his way from a fatherless home in the Bronx to become by his midthirties a rival to the Warners and Mayers, reigning kings of Hollywood. He would resemble Gatsby if Gatsby had gone west. Propelled by the suicide of an innocent victim of studio politics, Owen falls in wacky, unpromising love with Palmyra, who in turn is relentlessly pursued by Mossy, the autocratic studio head. The drawing and redrawing of the triangle between screenwriter, star, and tycoon—intense, devious, seductive, combative—frames the education of Owen Jant. 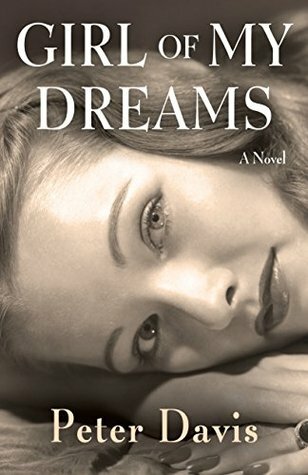 The story has an epic sweep that encompasses the swagger and flash of 1930s Hollywood and the Great Depression’s plunder of the American dream. 4. 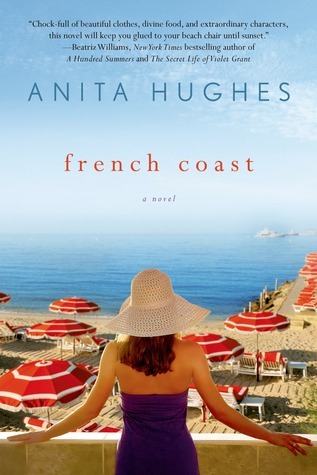 French Coast by Anita Hughes, which also came unexpectedly, but I’m looking forward to it since the main character’s name is Serena! Serena has the job she’s always dreamed of and Chase, the man her heart never dared to. As a new editor at Vogue, she bags the biggest interview of the year with Yvette Renault, the infamous former editor of French Vogue, in The Carlton-InterContinental Hotel during the Cannes Film Festival. She eagerly jets off to France while Chase stays home, working with her father, a former senator, on his upcoming mayoral campaign. Everything feels unbelievably perfect…until it doesn’t. The hotel loses her reservation hours before her big interview. Serena fears that she’ll have to go home without her story, but then she meets Zoe, a quirky young woman staying in the suite below Yvette’s who invites Serena to stay with her. Serena is grateful for her mysterious roommate’s generosity, but it seems that there’s more to her story than meets the eye. To make matters worse, soon after arriving in Cannes, Serena learns a shocking secret about her parents’ marriage, and it isn’t long before she begins to question her own relationship.With her deadline looming and pressure mounting, Serena will have to use her investigative journalism skills, new friendships, and a little luck to get her life and love back on track.